Booting into safe mode in Mac OS X is a troubleshooting trick that can help to diagnose many common system problems, and even some more obscure issues with Mac OS X. While safe mode is considered an advanced troubleshooting technique, it’s easy to use and easy to exit out of, meaning just about any experience level should be able to try it out. 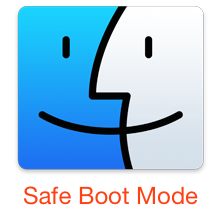 Let’s learn a bit more and see how to boot into safe mode, what safe mode does, and how to exit and return the Mac to it’s normal boot state. And yes, this works in all versions of Mac OS X, from Yosemite to Mavericks, Mountain Lion, Snow Leopard, you name it, you can boot into safe mode with it. To boot into safe mode on any Mac, all you need to do is start holding down the shift key during system start after you hear the initial boot chime. You must hold the Shift key immediately after hearing the bootup sound effect otherwise Safe Mode will not initiate. Keep holding it down until the boot progress indicator has appeared on the screen – that progress bar indicates the disk check function is running, which is why Safe Mode can take a while to start a Mac that way – but there’s no harm to holding down Shift until you see the login screen or desktop, just note that it may take a while. To reboot a Mac directly into Safe Mode, the same logic applies, but you initiate a restart from the  Apple menu > Restart. Start holding down the Shift key as soon as you hear the startup sound on restart. These features are helpful for troubleshooting a problematic Mac, because if a Mac functions fine in Safe Mode but things are acting up or going wrong during a normal system boot, something is obviously going wrong with what is loaded during the normal startup process. Basically, safe mode helps you to narrow down the cause of what is erring the Mac. It’s also worth knowing that anyone can easily see if Safe Mode is activated by going to “About This Mac”, where ‘Safe Boot’ will be indicated in red text if it’s enabled. Safe Mode is not something I’ve had to use often, but there have been at least two occasions where machines were hanging upon loading the Finder and a funky 3rd party login item was to blame. If you ever get a blank grey or blue screen after running a System Update, booting into Safe Mode will often resolve this by deleting the caches, then simply reboot again to be returned to normal. That can also apply to seeing those screens when booting with certain drives and volumes mounted. To exit out of Safe Mode and boot the Mac back as normal, all you need to do is reboot the Mac from Safe Mode, you can do that from the  Apple menu and choosing “Restart” as usual, or with the power button. Just don’t hold down the Shift key this time around, and you’ll boot Mac OS X as usual. That’s all there is to it. Users who are interested in learning more can find additional details about Mac OS X’s Safe Boot Mode at Apple’s Knowledge Base, or just boot into it themselves and play around. For advanced troubleshooting, you may need to boot into Recovery Mode or restore from a Time Machine backup, but that’s a topic for another article. Pages software kept crashing as soon as opened. The internet advice was to boot then hold down the shift key. The login bar arrived, completed, then the dreaded message “Unapproved caller SecurityAgent may only be invoked by Apple Software” arrived. I shut down using the power key and rebooted. “Unapproved caller…” came up again but, this time, quickly. I again tried rebooting holding the shift key – so called, rebooting in “safe mode” – with the same result as before. I can’t boot the computer – always “unapproved caller…” comes up. How can I really boot the computer into safe mode?